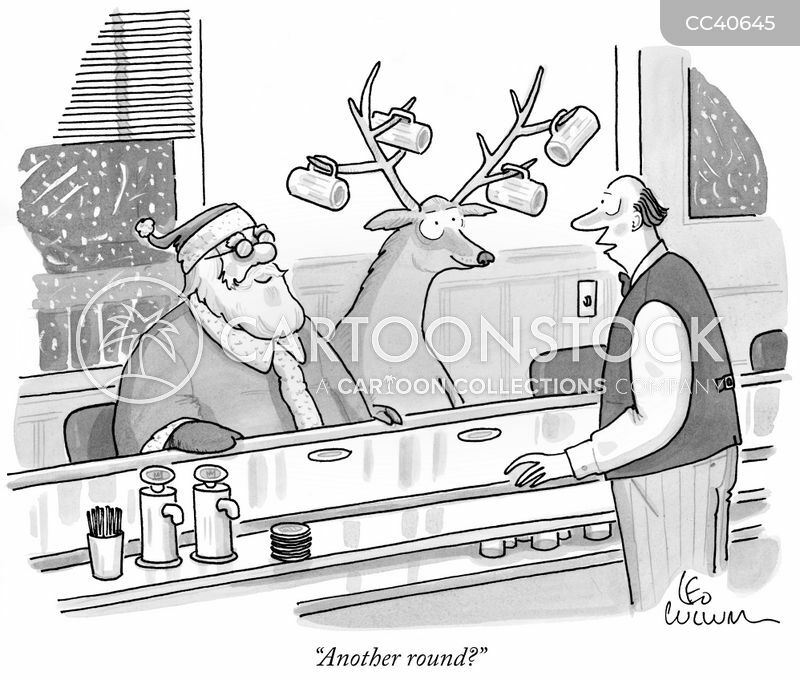 "The knees are the first to go." 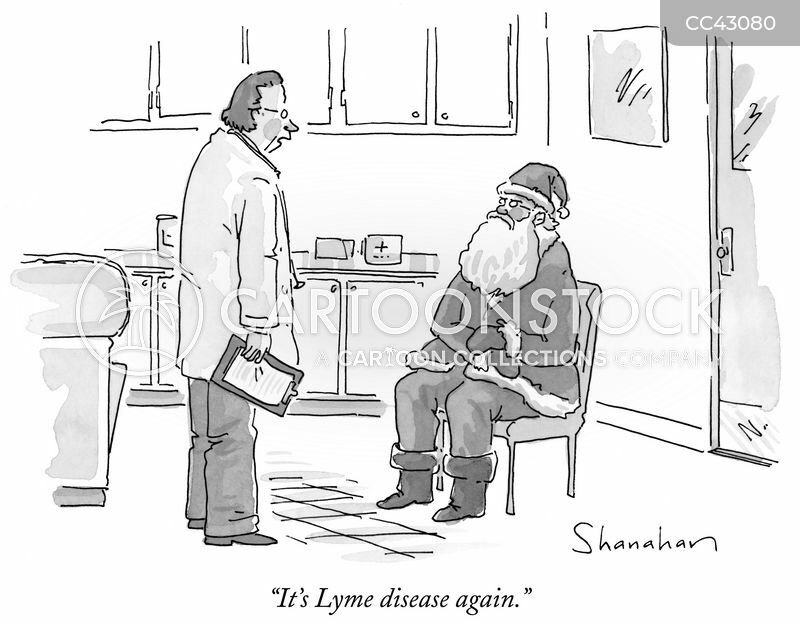 "I see. 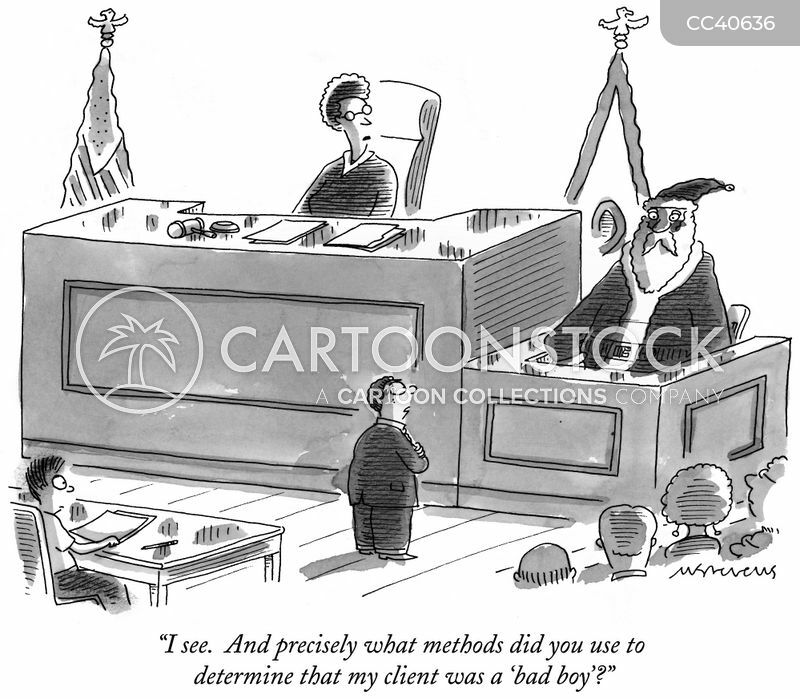 And precisely what methods did you use to determine that my client was a 'bad boy'?" 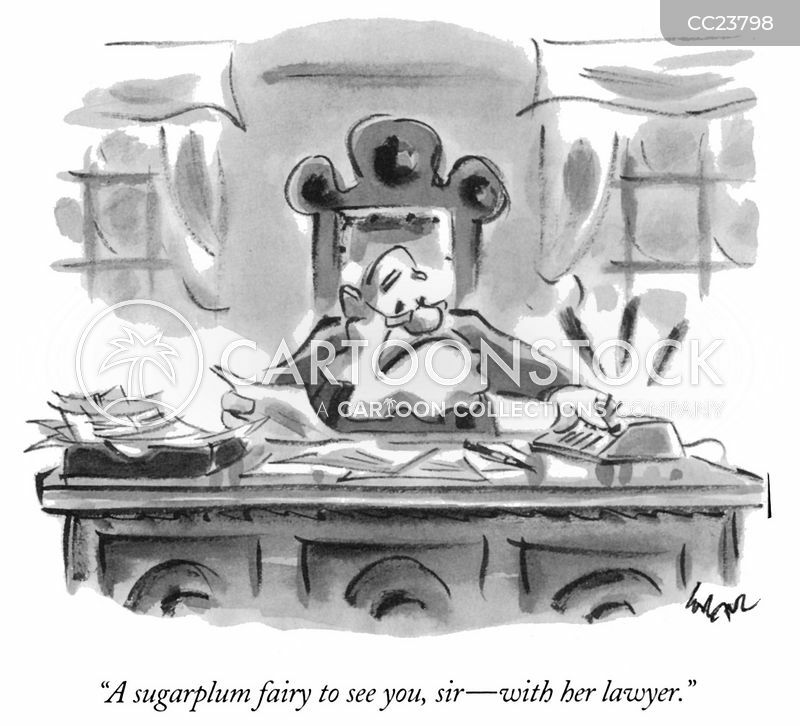 "A sugarplum fairy to see you, sir - with her lawyer." 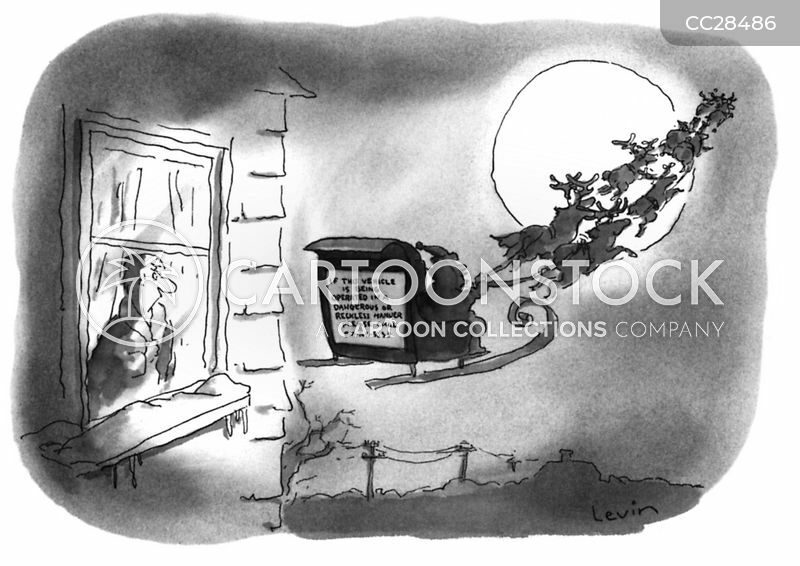 "It's from Santa, and it goes way, way beyond jolly." 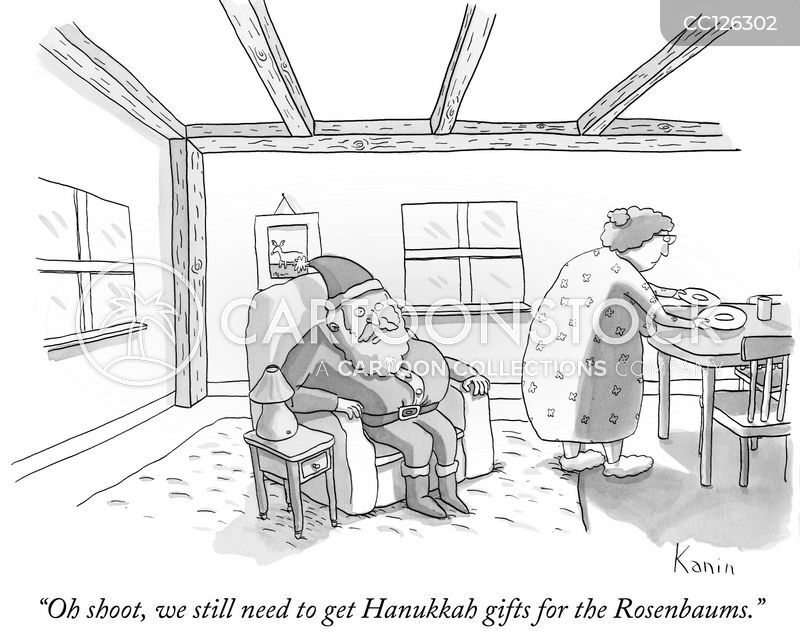 "Oh shoot, we still need to get Hanukkah gifts for the Rosenbaums." 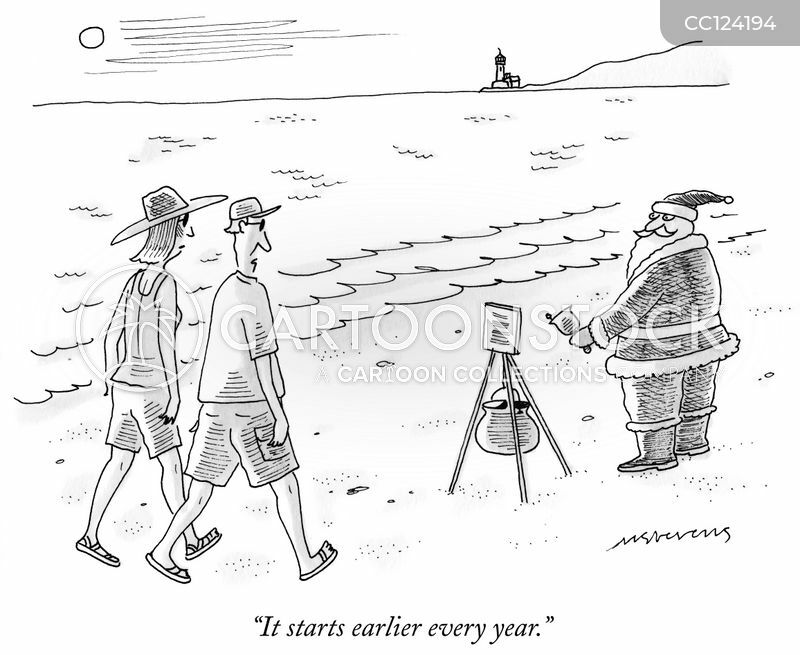 "It starts earlier every year." 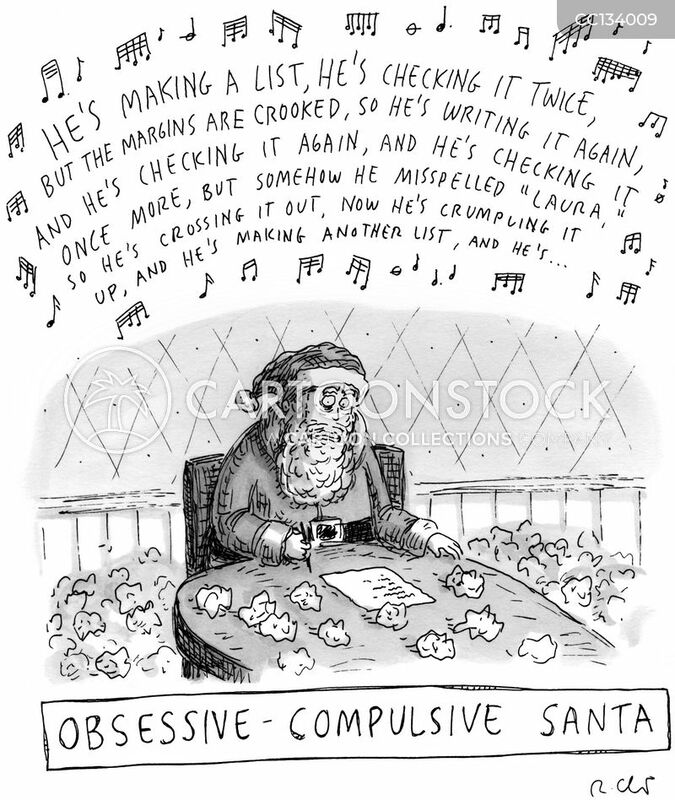 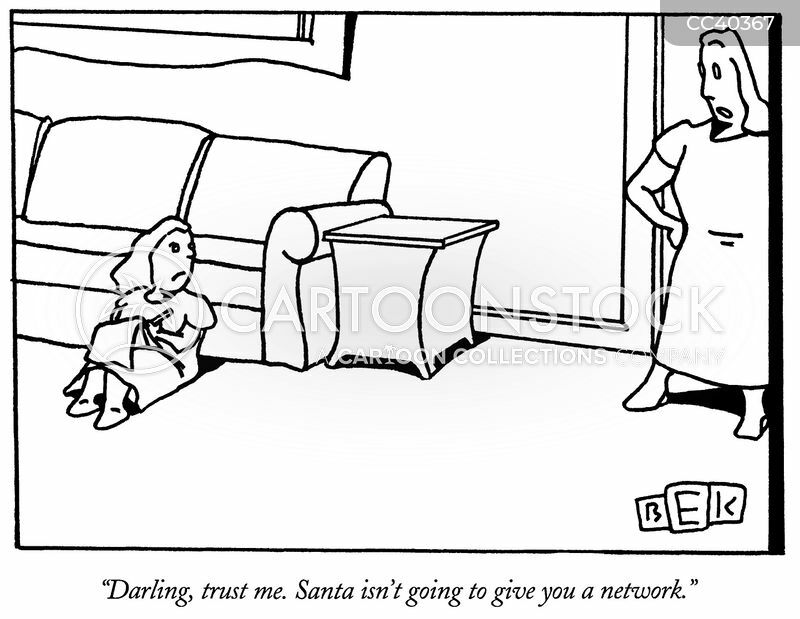 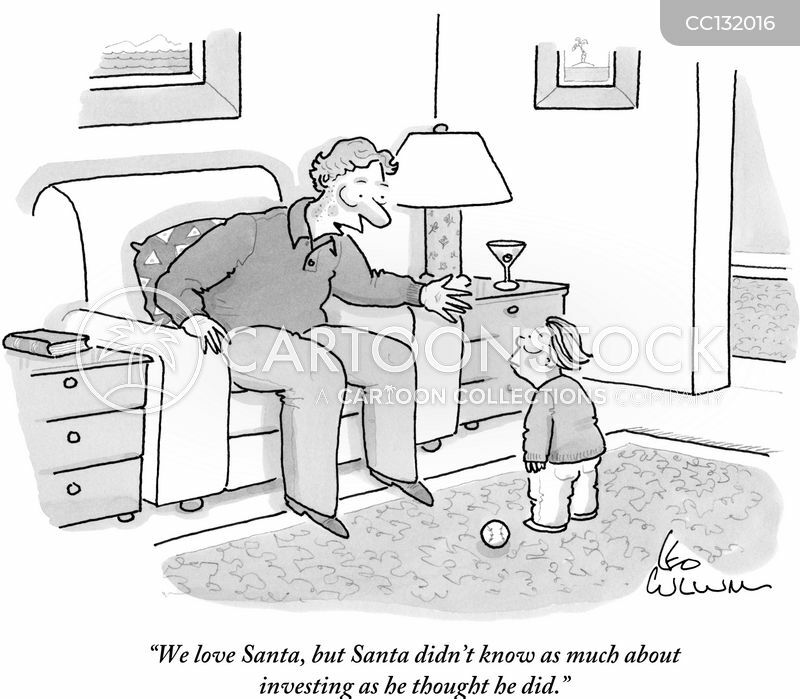 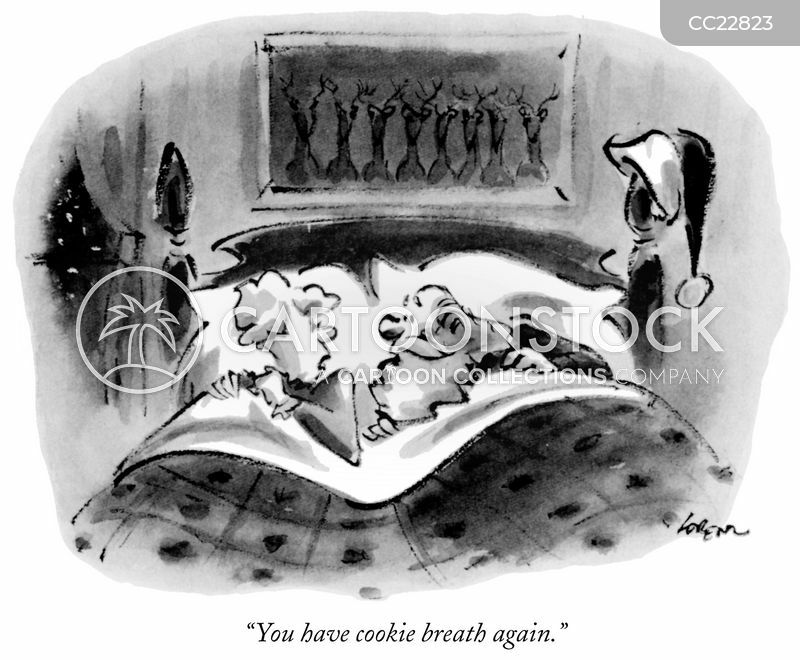 "We love Santa, but Santa didn't know as much about investing as he thought he did." 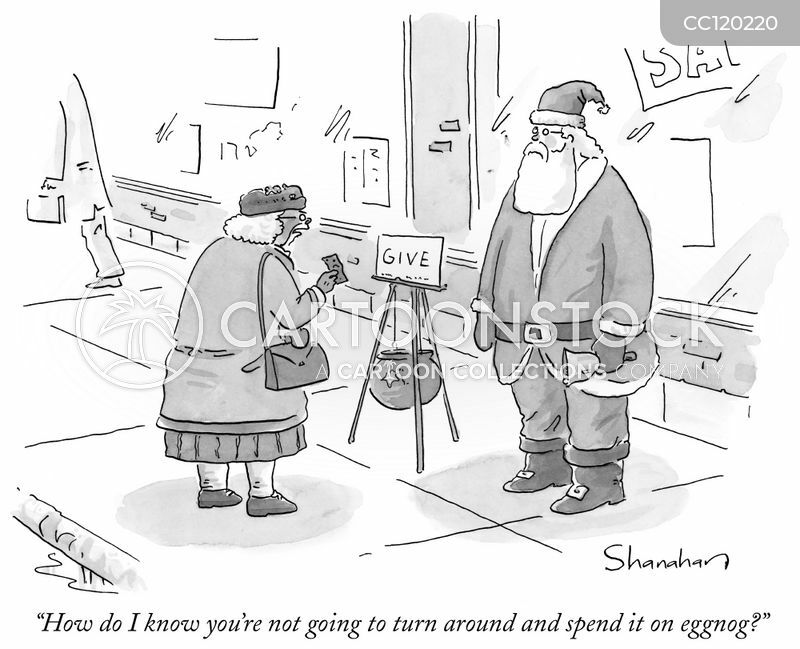 "How do I know you're not going to turn around and spend it on eggnog?" 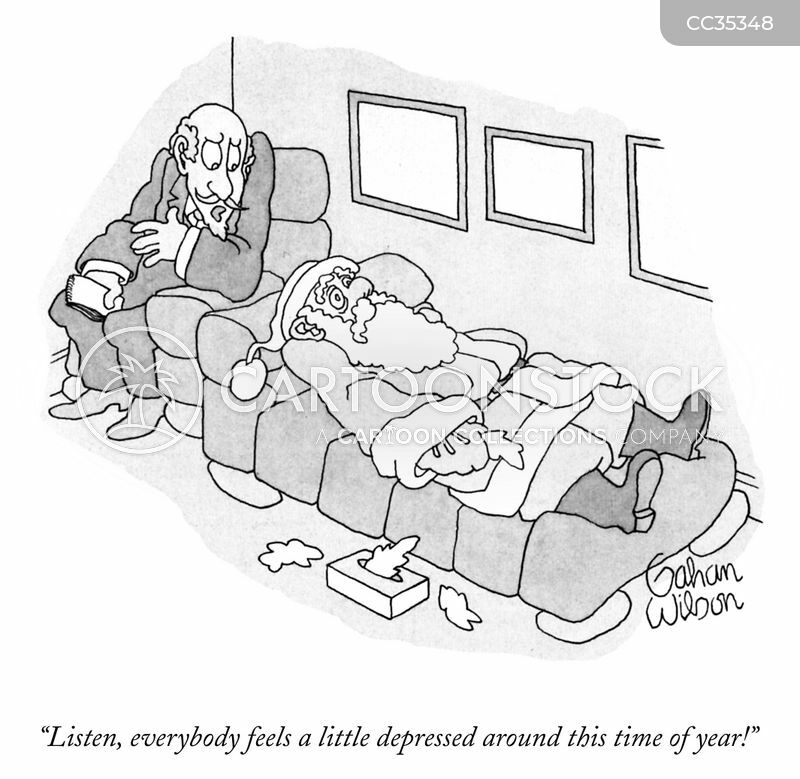 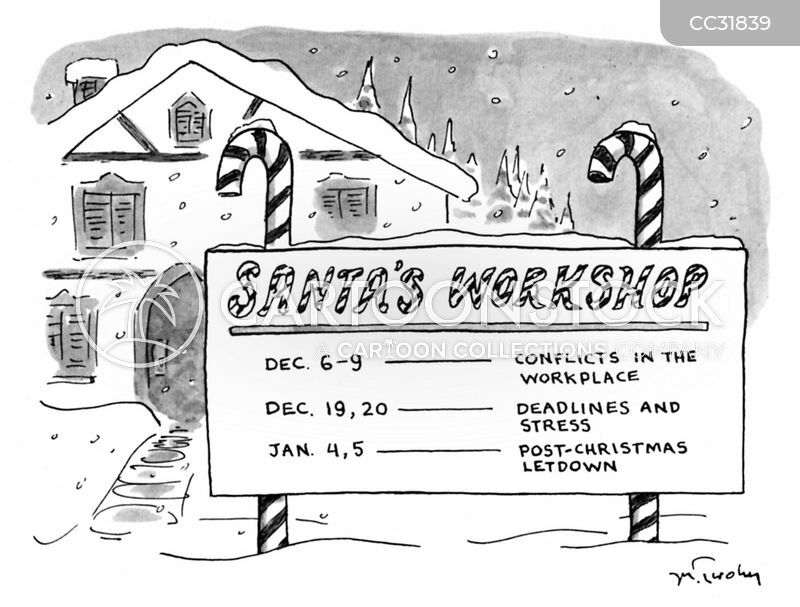 "Listen, everybody feels a little depressed around this time of year!" 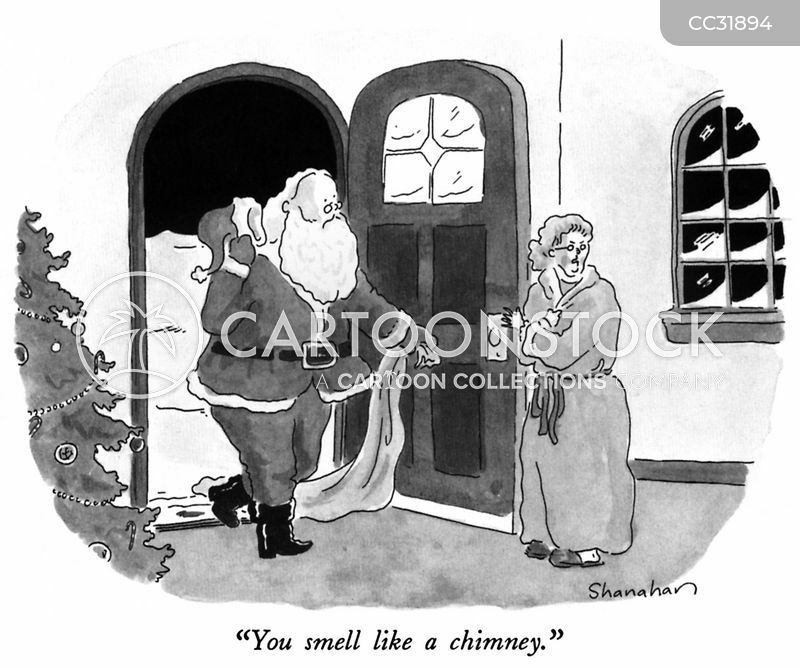 "You smell like a chimney." 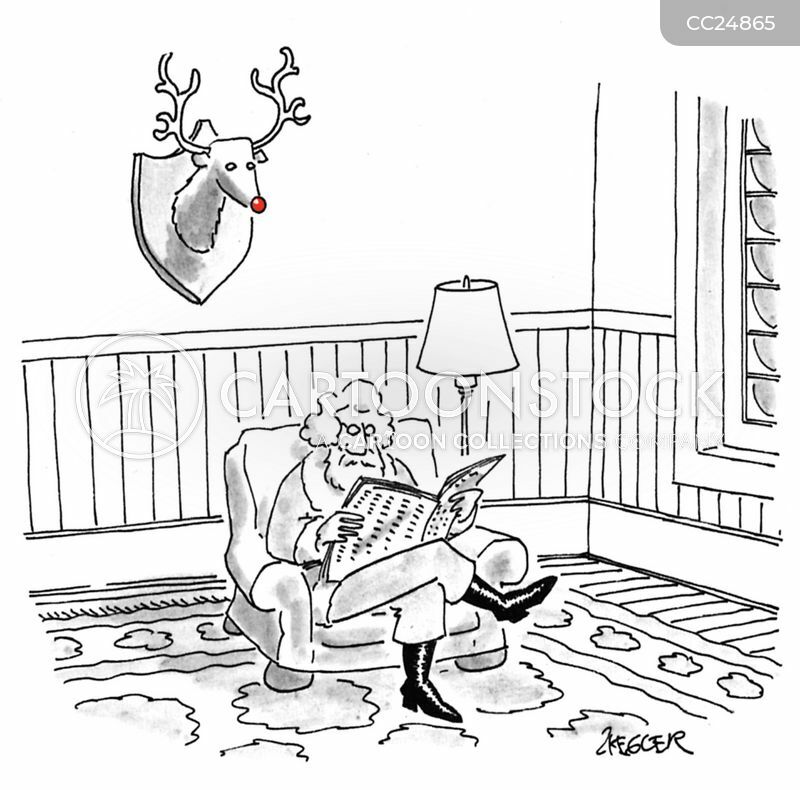 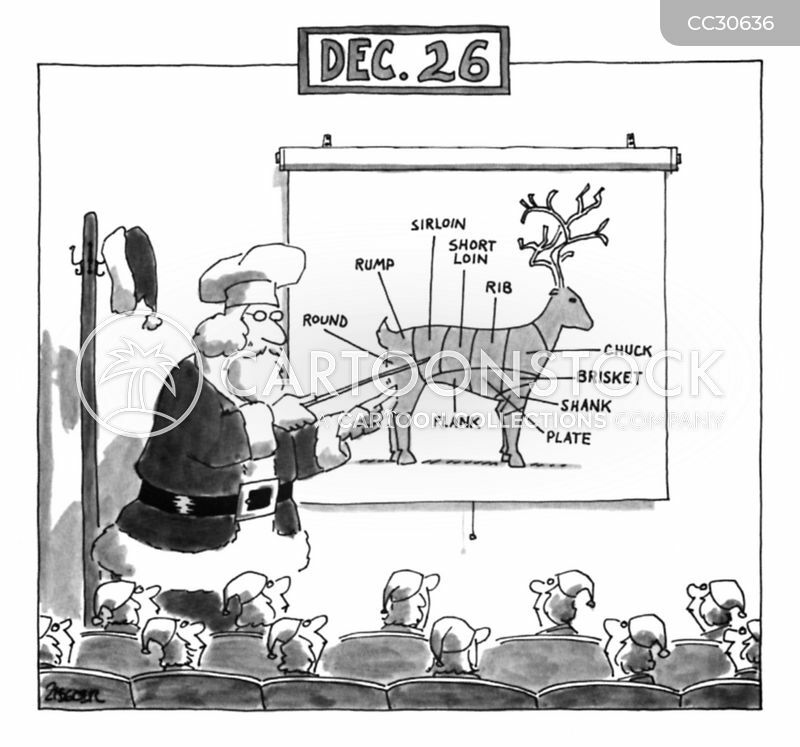 Santa Claus reads a newspaper while Rudolph's head is mounted on a wall behind him. 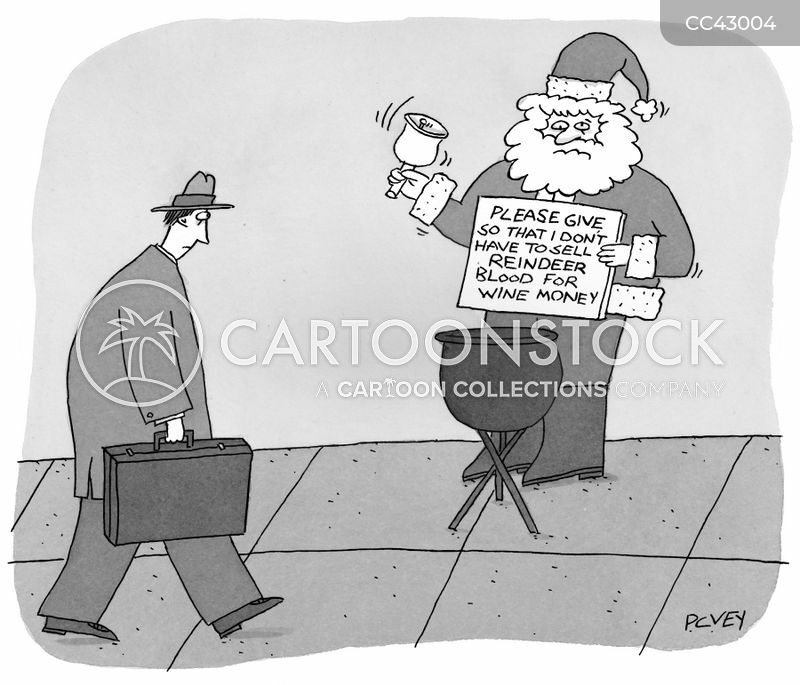 Please give so I don't have to sell reindeer blood for wine money. 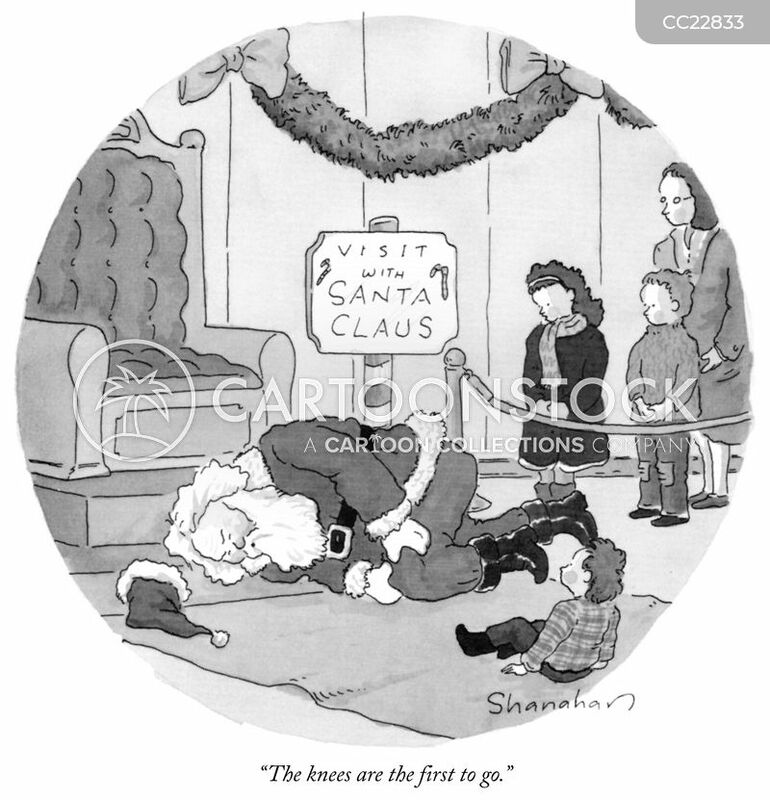 "Years ago, there was only one Santa Claus. 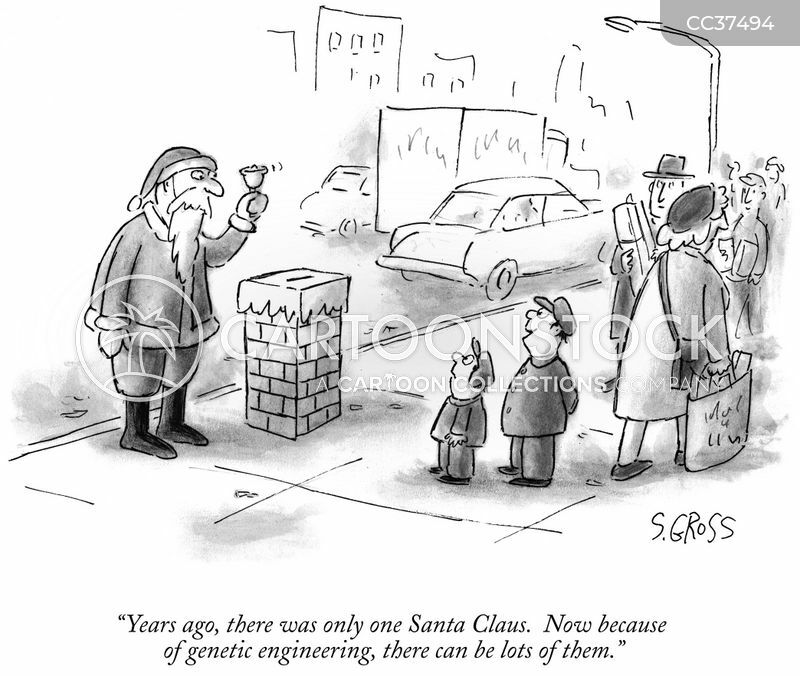 Now because of genetic engineering, there can be lots of them." 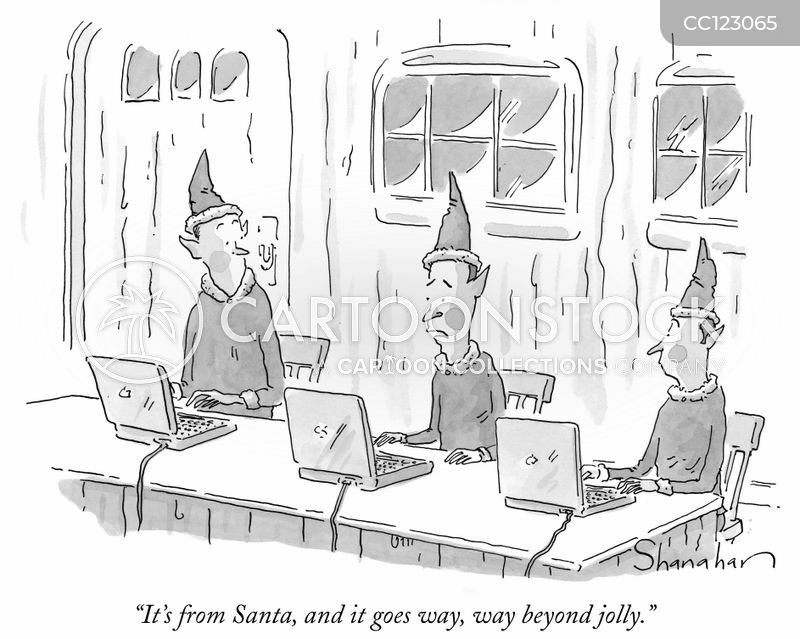 "And this is where the magic happens." 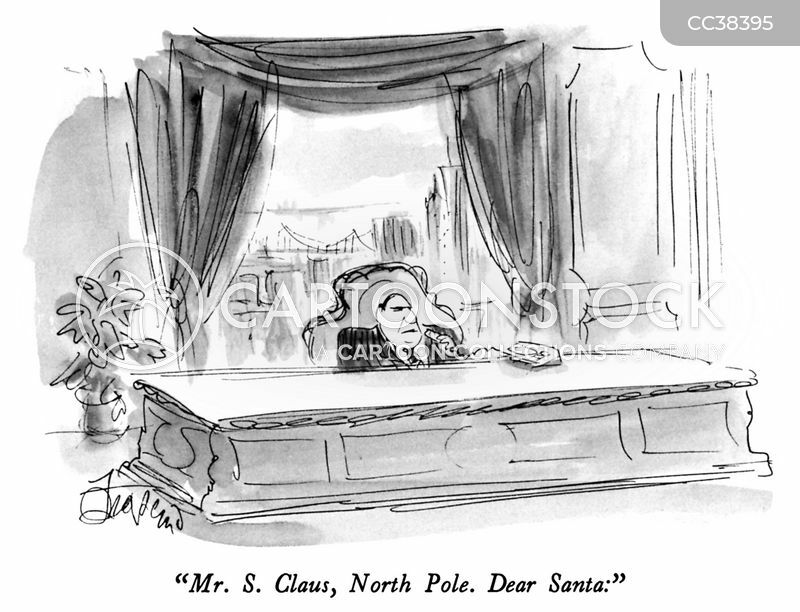 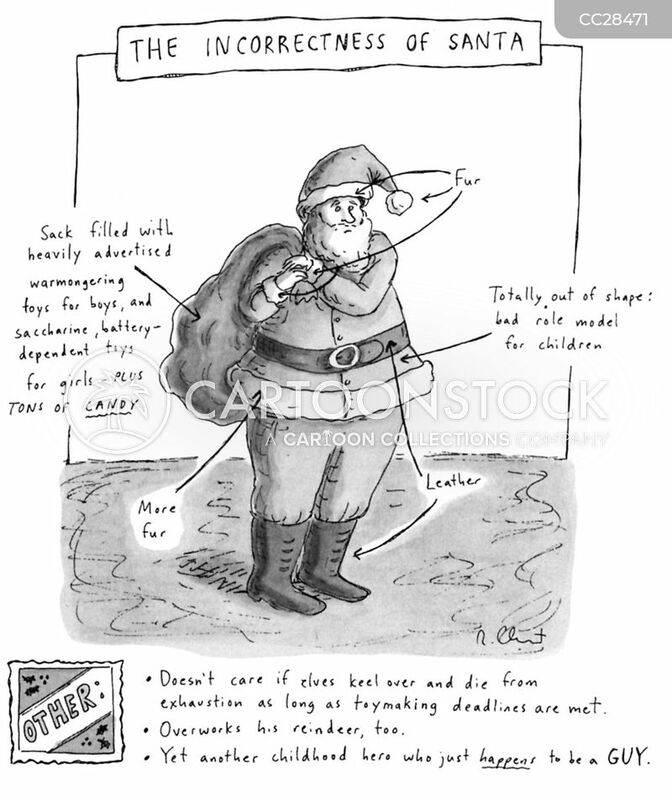 "Mr. S. Claus, North Pole. 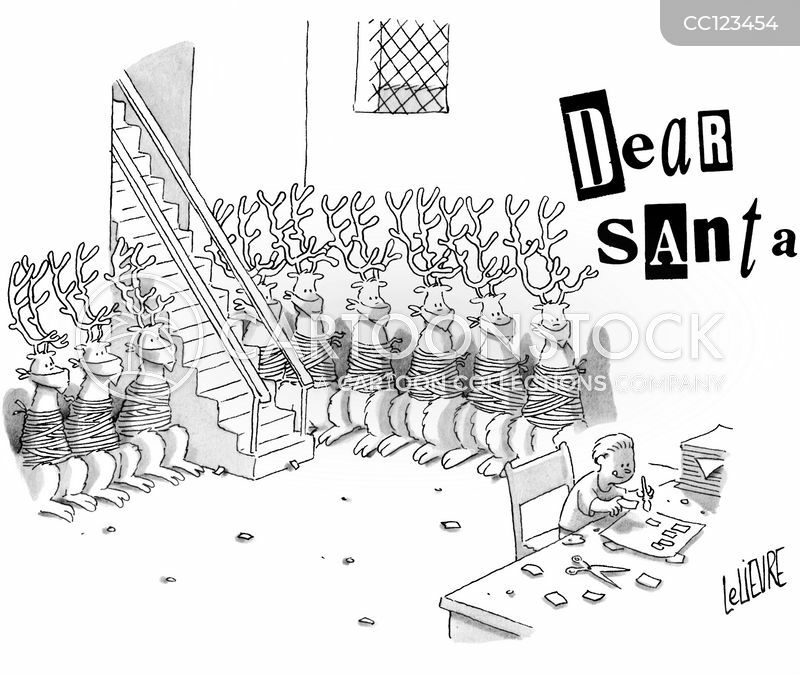 Dear Santa:"